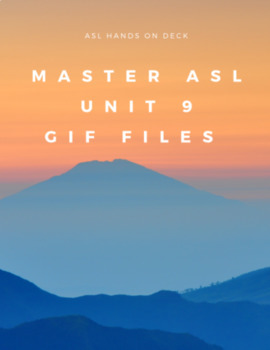 Master ASL - Over 1,000 gif files! 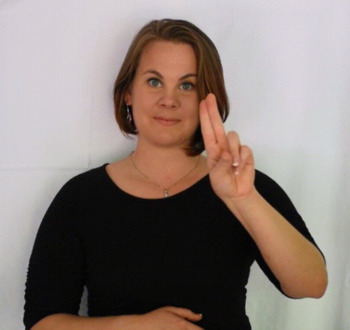 This includes EVERY sign from units 1-10 in the Master ASL curriculum. Every. One. That is over 1,000 gif files that you do not have to make yourself! Use these to make:KahootsQuizzizPrezi presentationsPlickersGoogle formsStudy guideAnd so much more!! One and done! This is everything you need to create games, study guides, kahoots, ANYTHING!This includes all the PowerPoints, all the gif files, and all the vocabulary lists for Master ASL. Over 1,000 gifs, 132 PowerPoints, and 10 vocabulary sheets. Stop using flat pictures to help students practice signs. Gifs are a better way for students to see signs, but who has the time to film, cut, and convert into a gif file?